Robert J Parks Library, 6010 N Skeel Ave, Oscoda MI 48750. In 1838, local residents got together and formed the County of Ingham. For the first two years of its existence, the County was without a county seat, and for ten years the Sheriff was without a jail. Due to a lack of a county seat and jail, all prisoners had to be taken to the City of Jackson, an all day venture in a horse and buggy. By 1840 the Village of Mason Center, which was named after Michigan's boy Governor, Steven T. Mason, had been chosen as the county seat, due to its central location. Our government officials decided that a one-story office was necessary, and soon a new building was constructed at 155 West Maple Street. Shortly after that, a building committee was directed to contract to build a courthouse at 142 East Ash, and not to spend more than $800.00. The building was 28' x 34'. Also, at this time, a brick jail with cells of hewed logs was built at the rear of 125 East Oak Street, with a heavy timber stockade of sharpened post around it. Sheriff Joseph L. Huntington and his wife Minerva, were the first occupants of Ingham County's first jail, and lived on the second floor over the cell area. After the jail was built the Sheriff could stay in the county to maintain law and order. For the next 18 years the lives of the Sheriffs were relatively quiet as they maintained their jail. On August 23, 1866, the quiet of the jail was shattered by the noise of a mob, which broke into the jail, overpowering Sheriff Frederick Moody (1866-1866), and removing a 16 year old black youth from his cell. He was dragged a half mile with a rope down to Mason and North Streets, where he was hung. The young boy had come to Michigan from Kentucky the year before, along with some war veterans. He was charged with the axe murder of three women on a Delhi Township farm. In actuality, all of his supposed victims outlived him by many years. The Mason Presbyterian Society was the owner of the jail property at the time of the lynching, and two years later when the new jail had been built on East Maple Street, and the old jail and stockade had been torn down, the congregation built their first church on the site. In the mid 1920's, then Sheriff Hugh Silsby requested that the Board of Supervisors fund a new jail facility. He told the Board that the jail was unfit for the large number of prisoners they received. Many days, the twenty four man "bullpen" held up to sixty prisoners. Another problem was the "insanity ward" room, which was destroyed. Other prominent officials agreed with the Sheriff and further commented that the jail did not have proper or legal accommodations for boys and girls under sixteen years of age. The facility could not segregate the youths from hardened criminals and prisoners who were afflicted with venereal disease and other "loathsome maladies." The board decided that if a new modern jail were built, it was to be large enough to house one hundred sixty prisoners and was to be of steel, cement, and brick construction with a residence for the Sheriff. It was to cost no more than $175,000. In April of 1926, the voters approved the new facility and the third Ingham County Jail was built in 1927. The new jail was a state of the art facility for that era. On the main floor, in the rear, was the "bull pen" area. The Sheriff's offices and lobby were in the front. Cell blocks for forty-eight prisoners were on the second floor. During the night, eight prisoners slept in each cell, and during the day their time was spent in two dayrooms. Visiting was conducted through speaking boxes, which allowed for no passage of items between the visitor and prisoner. This floor was reportedly escape and assault proof. The third floor was the kitchen, laundry, and women's quarters. An elevator was used to carry supplies, food, and staff to all levels. The Sheriff's residence was a modest eight room brick dwelling attached to the jail by a connecting wing. The jail facility served five Sheriffs up to the mid 1960's when it became apparent that a larger, more updated facility was needed. Sheriff Kenneth Preadmore had strong beliefs that a modern jail facility should be capable of rehabilitating its sentenced occupants through educational programs. Sheriff Preadmore had architects design a correctional institution that would focus on educational and counseling services. This design of the Ingham County Correctional Center was considered by many agencies across the United States to be both progressive and innovative. By the late 1970's the jail again was in a position of overcrowding. Sheriff Preadmore, along with architects again began designing another more progressive addition to the Correctional Center. The addition which we still occupy was completed in 1980. In the original building projections, this facility was designed to meet our needs into the twenty first century. However, the needs of the criminal justice community and the citizenry dictate that we are again at a point in our history that we must plan ahead, perhaps sooner than intended into a larger facility. On a daily basis, the Ingham County Correctional Center houses over five hundred persons, either sentenced or awaiting trial. We take great pride in our history and our staff. Without great co-workers such as you, we would not have grown from two employees (1838) to two hundred and two dedicated persons who make up one of the finest Sheriff's Departments in the country. Each and every day we strive to serve Ingham County to the best of our ability. Richard R. Lowe was born in 1808. He lived in Sullivan, New York and moved to the Stockbridge area in 1835. After serving as Sheriff the first time, he married Mahale Newkirk and raised two sons, Peter and Charles, on his 640 acre farm. He died in 1877. Amaziah Winchell was born on November 25, 1810 in the state of Vermont. He moved to Michigan in 1832 and lived in Washtenaw County. He married Roda Arvilla Abbott in Shorham, Vermont in 1833 and moved to Washtenaw County in 1836. He later moved his family to a farm in Ingham County. Nine years after his term of Sheriff he was elected as the Ingham County Representative to the legislator. He died in 1877. It is believed that Nathaniel Hammond was living in the Springport area at the time he was Sheriff. Since Ingham County did not have a courthouse until 1848, it was not uncommon for the Sheriff's to live in the Jackson Area to conduct business and house prisoners. No information as available at the time of printing. Joseph Huntington was born on November 16, 1800 in Hinesburg, Vermont to a very prestigious public service family. His relatives consisted of an artist, Governors of Ohio and Connecticut and President of the Continental Congress. At sixteen he became a shoemaker and moved to Tomkins County, New York. He married in 1923 and they moved to Aurelius Center in 1823, purchased one hundred acres of timber land and cleared out a farm. He was elected Sheriff in 1846 and became the first Ingham County Sheriff to have a jail and a residence. After retiring, Joseph Hunting and his son opened a boot and shoe business in downtown Mason. He died in Mason on March 19, 1874. Chauncey Osborn was born and raised in 1800 in Attica, New York. He married and moved to Vevay Township where he continued his skills as a cabinet maker. At the time that he was elected he was raising a family of eight children. Osborn Road east of Dansville is named after the Osborn Family. He died in 1872 and is buried in the Mason Cemetery. Perry Henderson was born and raised in Onondaga, New York. He became a teacher at age 19. He married in 1838 and moved his family to a farm in Leroy Township in 1845. After serving as Sheriff he served as mayor of Mason, Alderman, builder of Phoenix Flouring Mills and owner of a hardware store. He died in 1904 and is buried in the Mason Cemetery. 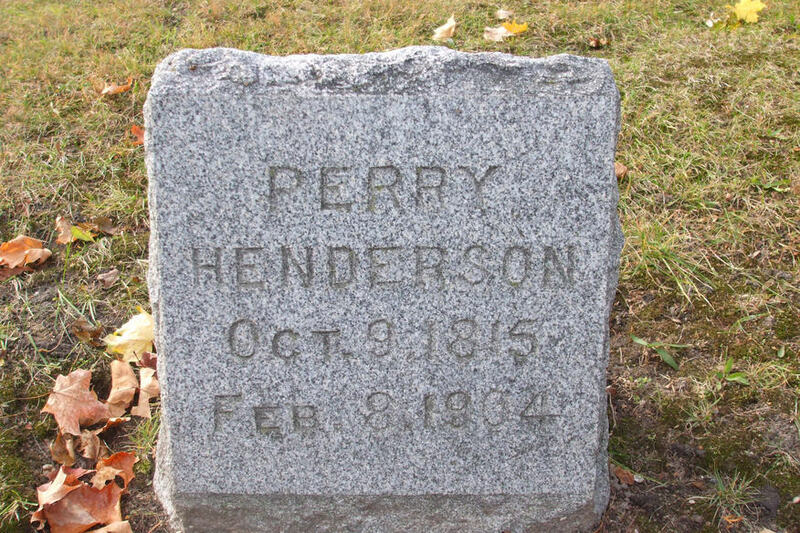 *** Perry Henderson was the originator and builder of the Phoenix Flouring Mills that started in Mason in 1858. He remained involoved with the Phoenix Flouring Mills for 10 years. As was the case of previous sheriff's, Edey Baker was born in New York. He later moved to Michigan and lived in Lansing. After his one term as Sheriff he moved his family to Stockbridge where he ran a general store and was the Postmaster. In 1860 his store became a skating rink. He died in 1895 and is buried in the Stockbridge Cemetery. 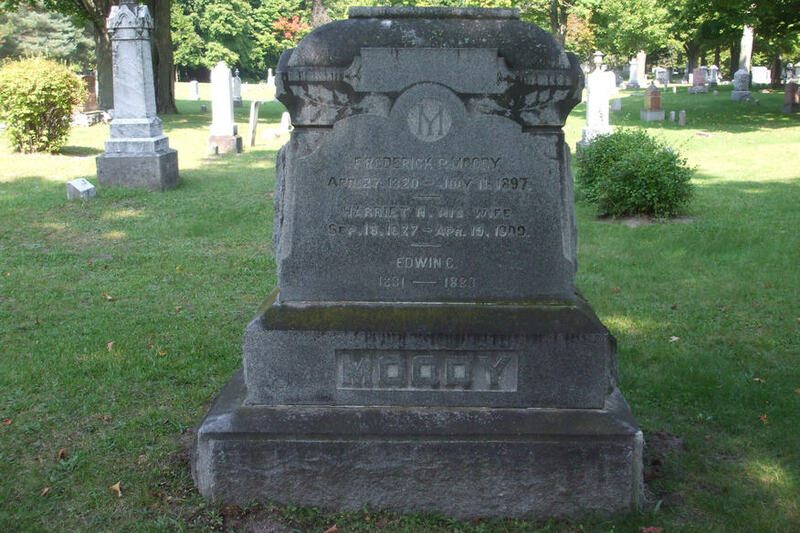 Frederick Moody was born on April 27, 1820 in Williamston, New York. He married Julia Latimore in 1840 and had two children. After his wife's death he married again and had two more children. Frederick Moody and his wife moved to Michigan and located in Leslie where he became a hotel keeper. During his term in office a lynch mob stormed the jail, removed John Taylor from his cell and hanged him. He had been wrongly accused of murder in Delhi Township. After retiring he lived with his daughter and died on July 13, 1897. He is buried in the Mason Cemetery. Truman Spencer was born on July 24, 1820 and was raised in New York. He moved to Locke Township in 1856 with his wife and son where he operated a sawmill. He became active in politics and served several terms as Township Supervisor and Sheriff. He died suddenly at age 48 before being elected to his third term of Sheriff. Burial was in Mason with later removal to the Locke Township Cemetery. ** He was the Township Clerk and Supervisor of Locke before 1860 - In that same year he was elected the Sheriff of Ingham County. His election was on the same ticket as Abraham Lincoln. 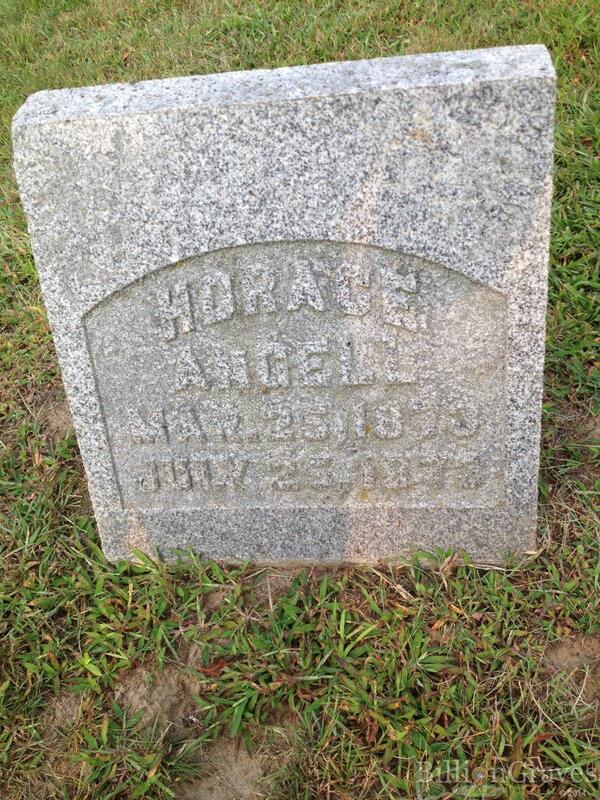 Horace Angell moved to Lansing from Massachusetts and became Lansing City Marshall in 1862. In 1868 he ran for Sheriff against Daniel White, narrowly winning by two votes. After being elected, he appointed an Undersheriff and five Deputies. 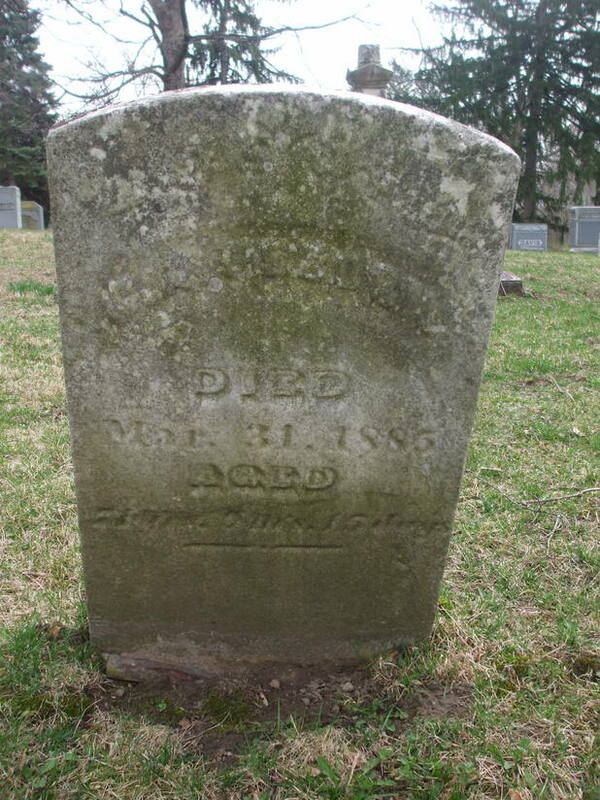 He died in Lansing on September 9, 1888 at the age of 72. William Spears ran in the November 8, 1870 election against Horace Angell, the incumbent Sheriff and Charles Chapman of Leslie, a prohibition candidate. The entire Republican ticket was elected except for the office of Sheriff. His winning margin was 186 votes. Allen Burr was born in 1818 and was raised in Ohio. He purchased land in Onondaga Township. On November 5, 1872 he ran against the incumbent and won. Allen Burr, a Republican, received 2,531 votes while William Spears received 318. In Lansing, 1,461 votes were cast, making this the highest number of votes cast for any office. James Dart was born on March 9, 1835 in St. Lawrence County, New York. He worked as a cabinet maker during his teen years in Alleghany County, New York. He moved to Lansing in 1869 and bought a lumber business which he operated until 1872 whereupon he bought a sawmill in Webberville. He continued to operate the business as well as a general store and elevator during his two terms as Sheriff. He retired in Mason. His descendants own and operate Dart Banks in Mason and Holt. Thomas McKernan was born on October 30, 1831 in Orange Grove, New York. At two years of age his family moved to white Oak Township where he grew up on a farm. After obtaining his education he enlisted in the 26th Michigan Infantry on August 13, 1862 and was discharged in 1865 for physical disability. He returned to farm life until he was elected Sheriff. He was the first Democrat ever elected to the position. He retired in 1887 and moved to 605 Walnut Street, Lansing. He was an avid, skilled hunter who had Indian companions go with him on hunts. ​H.O. Call was born in Ingham County on April 17, 1842. During the Civil War he was involved in the battles of Fredericksburg, Horseshoe Bend, Green River Ford, Wilderness and Spotsvlvania. Upon returning from the war he entered public schools in Lansing to complete his education. In 1867 he married and had three children. A second marriage also produced three children. In 1879 he served as a Deputy Sheriff and he won the election as Sheriff in 1886. He also served as Lansing City Marshall, Mason Alderman and Postmaster. He died on January 16, 1926 in Mason. Charles E. Paddock was born and raised in 1845 in the State of New York. In 1849 his family moved to Michigan and settled in Livingston County. Six years later they moved to a farm in Williamston Township where he spent his life. In 1864 he enlisted to fight in the Civil War and was injured. He was discharged thereafter. Prior to being elected Sheriff, he was the Town Clerk of Leroy and Treasurer and Supervisor of Williamston Township. He had a Department consisting of Undersheriff, four Deputies and one Corrections Deputy. Frank McEven was born in Delhi Township on May 13, 1854. He worked on the family farm until he could buy his own property which was 160 acres in Alaiedon Township. He married in 1877 and had two children from this union. After retiring he continued farming. 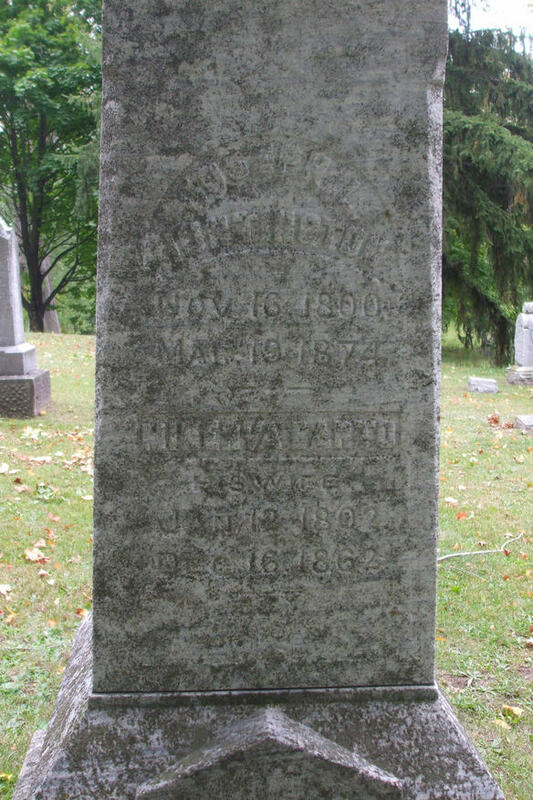 He died of a fall down a stairway in 1917 and is buried in the Mason Cemetery..
J.J. Rihle was born in Germany in 1846 and moved with family to Wayne County in 1849. They moved again in 1853 to Burkley Road in Wheatfield Township. He married in 1867 and had three sons and one daughter. He was elected to post such as Township Treasurer, Supervisor, Census Enumerator and Sheriff. He died in May of 1923 and is buried in the Maple Grove Cemetery in Mason. The Sheriff's wife, Sarah, caught inmate Al Stone trying to break out of the jail with a knife. She grabbed a gun and said, "You attempt to use that knife and I will shoot you." William H. Porter was born in Allegan, Michigan on August 23, 1852. He attended schools in Lansing and Olivet. After attending Oberlin College he married in approximately 1876 and opened his first business, the Lansing Chair Factory, which he sold in 1880. He then operated a hack and livery business. It is believed that he is buried in the Maple Grove Cemetery in Mason. Shubel Hammond was born on July 29, 1851 in Seneca County, New York. He moved to the Jackson area and then to the Okemos area in 1861. He was married in October, 1879 and had two sons. He was a Meridian Township Treasurer, Supervisor and for three years was Keeper of the County Poor Farm. He is buried in Leek Cemetery. William A. Steele was politically active most of his adult life and served as Williamston Township and Sheriff. After one term as Sheriff he declined a re-nomination due to ill health and moved back to his home in Williamston. He died at his residence at 64 years of age. Harvey O. Cline was born in December of 1862 and was raised in LaGrange, Indiana. He married and had two sons prior to moving to Michigan. He immediately set about becoming a respected politician having considerable influence. After losing the election on this third comeback as Sheriff in 1928 he retired and engaged in farming, operating a store in Dimondale and took over the General Store in Fitchburg. He died in October, 1934 after a short illness. John A. Barnes was born on May 7, 1856 and was raised in Cayuga, New York. He later moved to Michigan, settling on farmland on Edgar Road north of Barnes Road in Aurelius Township. He later married and had two children. He was known as "Dell" Barnes and was last known as a progressive successful farmer. Barnes Road was named after his father and Barnes Road School was named after his children. Hugh W. Silsby graduated from Webberville in 1903 and was elected Sheriff of Ingham County and served three terms. He made his home in Mason but his brothers, Harry, Earnest, and Archie remained in the Webberville area. Their father worked in a mill in Webberville and walked to East Lansing to attend school at MAC. Then he taught until his hearing became impaired. He then became a building contractor and in 1912 built the Webberville Elementary School. He was active in township political affairs and he served as Clerk and Supervisor several times. He died on March 21, 1951 and is buried in the Maple Grove cemetery in Mason. Claude Atchinson was born in Athens, Canada in 1883. He was in the infantry in 1917. There is no known history prior to his being elected Sheriff. After losing his re-election he went to work for the Grand Trunk Railroad as a Detective and stayed there for twenty-five years. He died in 1945 at 52 years of age and is buried in the Mt. Hope Cemetery in Lansing. His daughter is living in California and has fond memories of her life in the Sheriff's residence. Thomas E. Hanna was born in 1892 and was raised in Ingham Township. He was one of nine children. His family was originally from Ireland. In 1934 his daughter was fatally burned while working as a Matron at the Jail and then his nephew and grand Niece died in a house fire that was started by pouring kerosene over coals in a stove. The nephew's wife could not save her husband or infant daughter. He died in 1959 and is buried in the Dansville Cemetery. Allan MacDonald was born on December 24, 1896 in Elmira, Michigan. He later served as a Legislator and Chief Deputy. He took office and streamlined the Department from horse and buggy days to a modern police department. He added full-time Deputies to meet the crime problem and had two way radios for all patrol cars. He added 24 hour jail service and all officers wore blue uniforms. His son was a pilot credited with many rescues. His son was killed in a plane accident in North Carolina in 1941. Allan MacDonald died in November, 1973 in Arizona. Willard Barnes was born on February 21, 1912 in Petoskey, Michigan. Prior to being elected, he attended Michigan State University and worked as a Market Master and Weights and Measures. After taking office he established a Substation in the old Lansing Post Office and also got approval from the County Board of Supervisors to purchase patrol cars rather than use the officers private vehicle. Deputies were getting $50.00 a month to cover insurance and operating expenses. Lights, siren and radio were installed by the County. He resigned from office in 1960 and Jack Leghler was appointed to fill out his term. After leaving office he operated a bar in North Lansing. He died in February, 1965 and is buried in Deepdale Cemetery in Lansing. John Lechler was born in 1887 in Williamston. "Jack" started his law enforcement career in 1912 riding horseback with the Texas Rangers. He said that the Rangers career is overrated and that much time is spent camping on the trail. He returned to Ingham County and ran an automotive agency and later became Mayor in Williamston. In 1935 he joined the Sheriff Department and quickly rose to the rank of Undersheriff. In October of 1959 he was appointed to fill out the term of Sheriff Barnes who had resigned. Jack died in 1976 and is buried in Summit Cemetery in Williamston. Kenneth Preadmore was born on March 19, 1921. He joined the Marine Corps, received the Purple Heart and was honorably discharged in 1945. He joined the Sheriff Department in 1947,working in Corrections and rose through the ranks to become Chief Deputy. He was assigned to take control of the Lansing Substation and Divers License Bureau. In 1960 he waged a successful campaign, won the election and became the longest serving Sheriff in the history of Ingham County. He served as consultant to over 30 states in jail programs and construction. Kenneth Preadmore is also credited with beginning the Paramedic Division at the Sheriff's Department in 1976. He died on Sept. 16, 2003. Allan K. Davis was born and raised in Ingham County. He attended Mason High School and after his graduation in 1959 he used his skills as a building contractor in the Ingham County area. After serving two terms as Sheriff he returned to his career as a construction builder. Born in Owosso, Gene Wriggelsworth began his law enforcement career in 1966 with the Michigan State Police. His assignments included the Flat Rock, Lansing, East Lansing, and Capitol Posts. For 14 years, he also served as Lieutenant in command of the Metro Narcotics Squad. After 22 years with the State Police, he successfully ran for Ingham County Sheriff in 1988. During his 20 years in office, he fostered several innovations to the Sheriff’s Office that have made Ingham County a recognized leader in law enforcement services. These innovations include a regional training center, two satellite offices in Delhi Township and Webberville, and a lactating room for female employees. Gene Wriggelsworth received a Bachelor’s Degree in Business Administration from Northwood University and is a graduate of the FBI National Academy in Quantico, Virginia. He has been appointed to several boards and commissions, including an appointment in 2003 to the Michigan Commission of Law Enforcement Standards by Governor Jennifer Granholm, of which he was elected Chair in 2005, the Board of Education for the Holt School District for 10 years, and the Michigan Justice Training Commission from 1996-2001. Gene Wriggelsworth was the longest serving sheriff in Ingham County history. Married for over 43 years to his wife Sandra, they have three sons, eight grandchildren, and reside in Holt. Born in Lansing and raised in Holt. I am a 1988 graduate of Holt High School, 1992 graduate of Michigan State University (B.A in Marketing) and 2006 graduate of the 226th Session of the FBI National Academy. I spent 6 years serving on the Holt Public Schools Board of Education from 2007-2013. My wife Melissa and I live in Holt and have 4 children, Thomas, Grace, Claire and Jake. I completed 23 years of service at the East Lansing Police Department, rising to the rank of Lieutenant before being elected Sheriff in 2016. I have experience in patrol, detective bureau, narcotics, parking, records bureau and administration. I am an avid sports fan and enjoy physical fitness. I am looking forward to the challenges ahead. My goal is to empower our employees to continue the tradition of the Ingham County Sheriff’s Office as a proven leader in our profession. Promoting innovative ideas in both policing and corrections. Our ever changing society demands always changing ideas. Think BIG but within our means. And above all else, do what’s right each and every time.